petition: Indiana - Implement Stricter Laws that will Monitor and Ban Exotic Animal Ownership! Indiana - Implement Stricter Laws that will Monitor and Ban Exotic Animal Ownership! Please sign and share this petition in an effort to encourage the State of Indiana to implement stricter laws regulating the ownership and care of wild exotic animals. So far, this state does not put a ban on any type of animal as a pet which can put the "pets" and the owners in jeopardy. 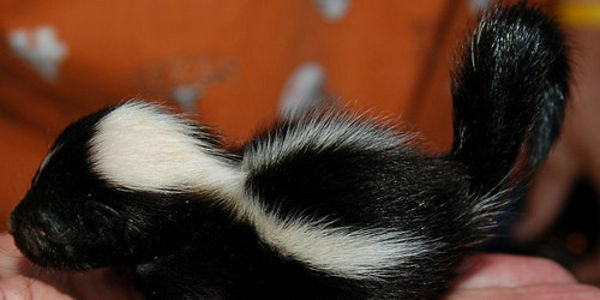 In Fishers, Indiana, a young woman, who had exotic unusual pets her entire life decided to give a baby skunk named Cruella a home. Although Cruella fit in the palm of her hand as a baby, she&apos;s now about nine pounds and waddles around the house like a tiny bear. She has a dog bed and dog toys she likes to play with. Her owner walks her on a leash from time to time. She&apos;s litter-trained and has never bitten anyone. But Cruella wasn&apos;t always so well-behaved. The first year, Cruella dug up the floors in Davenport&apos;s old apartment. She peed in the corners. She tore at the linoleum behind the toilet; all because of her instincts as a wild animal. The woman told a report quite simply,"They&apos;re exotic animals for a reason. They&apos;re wild animals." Indiana is one of the very few states that allow people to own just about any type of pet from skunks or raccoons, to foxes, cougars and even lions. All one needs is the proper permit. Indiana has the most lenient of rules nationwide and this can be dangerous for the animals, the owners and the communities they live in. Wild and exotic animals do not belong in homes, cages and a pet-type environment – they are not pets. You cannot take out their natural instincts which can put everyone in danger. People are always attracted to the special, unique and unusual; the type of species that needs to live as they were meant to live, not the way you want them to conform to. That can work for the sweet domestic cat or adorable, loyal dog but don&apos;t expect a lion, bear, skunk or raccoon to be cute and cuddly, forgetting where it came from! Every year, the DNR signs off on about 25 new wild animal permits. There are permits for 300 exotic or wild animals in Indiana. In Marion County, 17 animals have permits, 13 for Class II or III animals, which are considered more dangerous, including a bobcat, coyote and rattlesnake. In Hamilton County, a woman owns an African serval cat. These animals do not belong in homes as pets!! State of Indiana Law Legislators – You need to implement stricter laws against your residents owning exotic and wild animals as pets just because they get a permit. These types of animals need to remain in their own natural habitats where they can live as they were meant to. Even when adopted as a pet in a private home life, these animals never lose their natural instincts as wild and exotic animals. Do not put the animals, their owners and the entire community in danger by bringing these unpredictable creatures into an unnatural habitat for them. A zebra died tragically in Indiana during the last cold snap. But a zebra shouldn’t have been living outside in Indiana in the first place! We need Indiana to crack down on exotic animal ownership. Please share the petition today!